Initially I didn't like this game. The story seemed kind of dumb and I wasn't a big fan of the particular pixel graphic style they went with for the game. The gameplay is what truly won me over. Super Time Force Ultra is a side scrolling shooter and at any time you can pause time, rewind, make a copy of yourself, and continue playing. This means death is instantly reversible and the levels keep flowing. It also means you can have 30 copies of yourself on screen at the same time destroying enemies. It's so much fun, especially the boss battles. I don't know how many total stages there are but I played a little more than an hour. I played enough to know that I'm going to come back and finish this game once I wrap up this Steam backlog playthrough I'm doing. Do you want a bloody first person sword fighting game? This is for you. It's super bloody and super sword fighty. Your first, and primary, weapon is a katana. 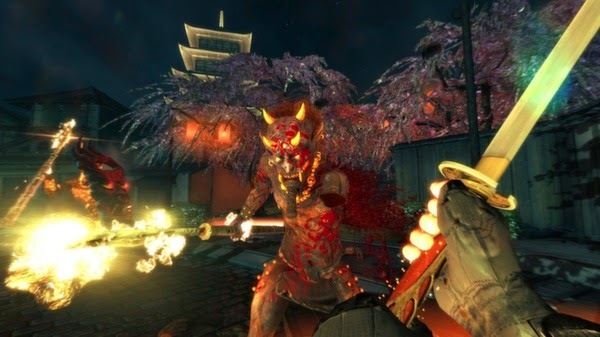 Slashing enemies causes all sorts of dismemberment and gore. I rarely feel the need for extensive blood and gore in my games. I'm definitely not in the mood for it at the moment. I'm going to delete this off my hard drive for now, but if I ever feel the need for something like this I know that it's in my Steam library. Still good. Still in early access. 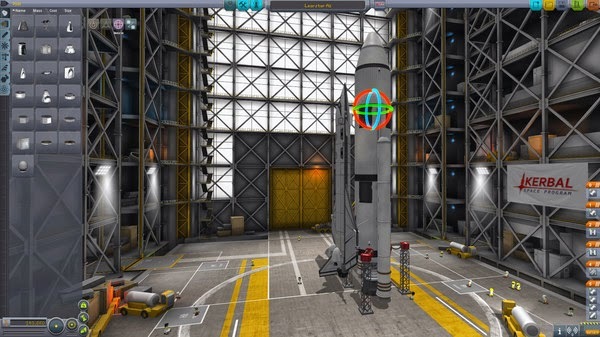 Still able to launch Kerbals into the atmosphere with giant rockets. Still causing many spaceship crashes. Kerbal Space Program is still showing a ton a promise. I'm definitely coming back to it once it releases for real. This is the best spaceship builder and simulator out there.